I decided to keep my momentum going and blog 2 days in a row! I know. Pick your jaw up off the floor and keep reading. So the King recently decided that he needed to get back to the gym and see a trainer. This is great news! I'm fully supportive! But do you know how hard it is to be supportive at 5:30AM when his alarm goes off to get up and go see said trainer 3 days a week? Let's be honest, I completely stunk at being supportive the first week. That's entirely too early! I need my queenly beauty rest. That first week, I had a lot of trouble going back to sleep. Thankfully, I've fallen into a routine of going back to sleep just in time for school to start next Monday morning when I'll have to be up at 6 anyway! 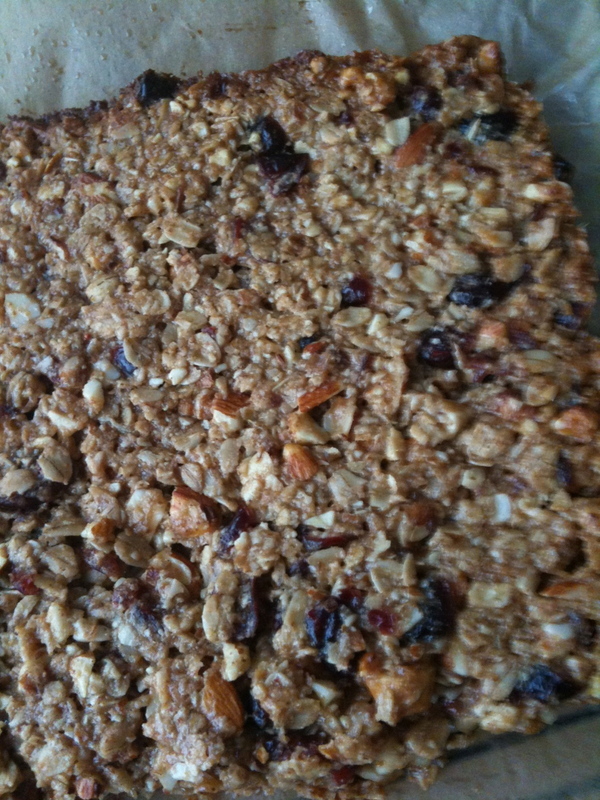 So in trying to support the King in this new effort, I made these yummy, thick, chewy granola bars (I added the yummy...it needs to be included in the title). I think they'll be quick, easy and something to stick to his ribs while he pumps iron during his early morning workout. And I'm back to being a supportive wife. Vote for me! Wife of the year. I already won wife of the year by seeing my husband for less than five minutes on his birthday. Imagine his life - I've been getting up prior to 4am at least once a week - 5:30 is a late day! I like the idea of homemade granola bars. Keep up the momentum! Keep the food coming!